Bruce Gilden’s most recent project, Only God Can Judge Me. In his latest and most poignant ongoing series, Bruce Gilden has been photographing street workers addicted to crack and heroin. Photographing and talking with the women in Overtown, Miami where he started his project in 2015, brought back painful memories from his youth. “In all of these women I see my own mother ravaged by pharmaceutical drugs, alcohol and her lifestyle. 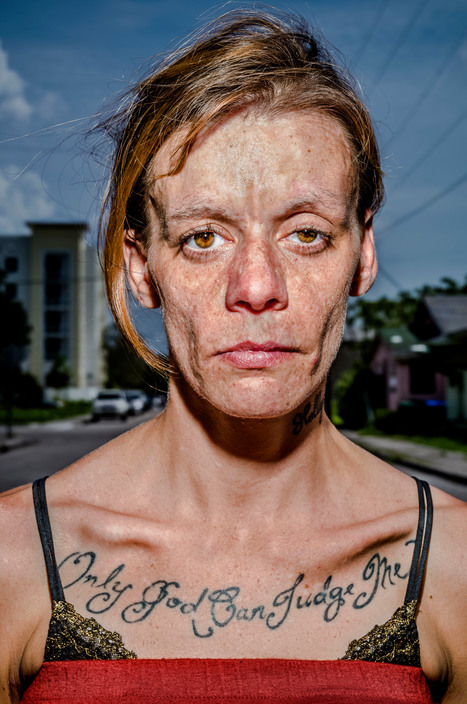 This personal motivation is the genesis of this project on prostitutes and drugs.” - Bruce Gilden. Only God Can Judge - will be on display at MiamiPhotoFest 2019 - Feb 27th - Mar 3rd.